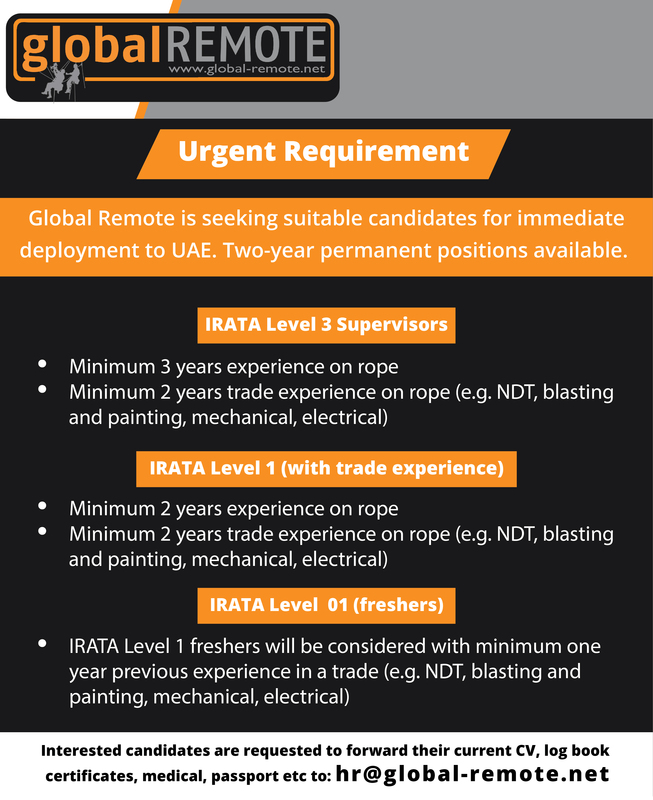 Global Remote is seeking suitable candidates for immediate deployment to UAE. Two-year permanent positions available. 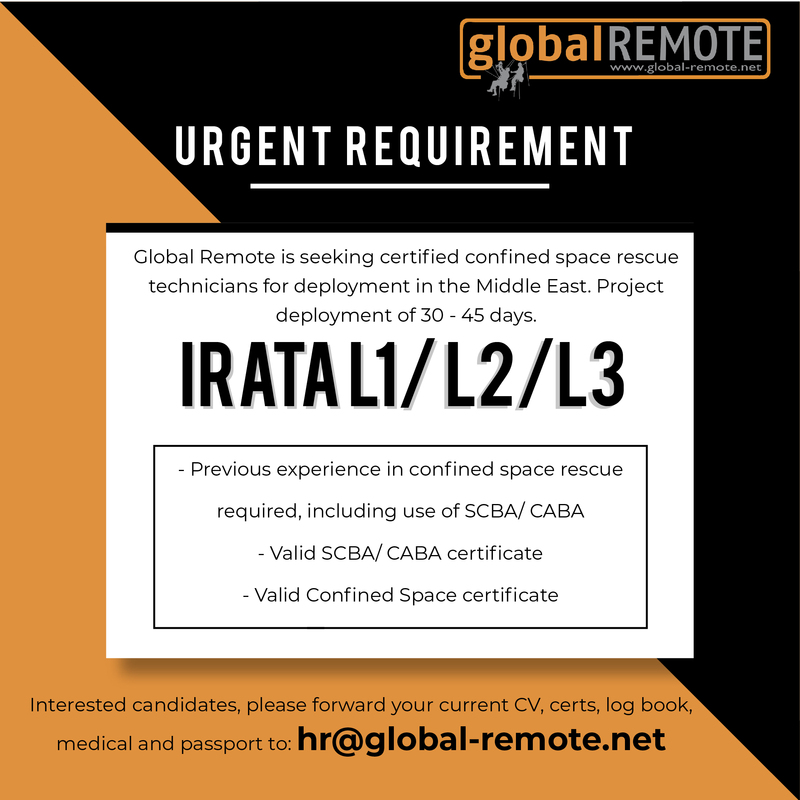 Global Remote is seeking certified confined space rescue technicians for deployment in the Middle East. Project deployment of 30 – 45 days.